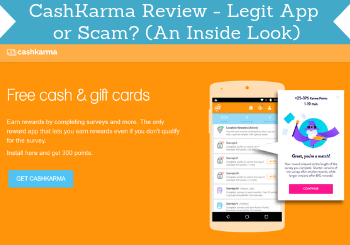 I recently heard about the CashKarma app and saw it claims it is a way to get free cash and gift cards. But is CashKarma legit or is it a scam app to stay away from? I joined and tested the app thoroughly myself to see exactly what it offers. In this CashKarma review, I will share all the details with you and give you an inside look so can easily find out if it will be worth your time or not. What is CashKarma and what does it offer? I first heard about Cash Karma from a reader here on PaidFromSurveys.com that told me he had good experiences with it and suggested me to look into it and give my opinion (thanks for the tip Anthony). I decided to test it to learn all the details about what it offers and if it is really worth the time. It is an GPT (get-paid-to) app where you can earn by taking surveys and doing other online tasks. You cannot use it on their website so you need an Android phone or an iPhone to be able to download and use the CashKarma app. That it is an app makes it easy to use on the go. But before you decide if it is the right option for you, you need to know exactly how you can earn by using the CashKarma app and how good the options are compared to other similar options. So let’s start by going over the earning methods and how good they are. Paid surveys is the biggest earning opportunity on CashKarma. You can find a pretty good amount of these inside the app. To be able to start taking the surveys, you first need to answer an initial short survey questionnaire for each of the survey providers CashKarma has as partners. They take around 2 minutes each and there are 3-4 of them. Each of them will unlock a survey wall for you. You get points for taking these short profile questions as well, so that is great. Once you have done that you will be able to access the lists of available surveys. You can find quite a lot of paid surveys through CashKarma. Just be aware that you will not qualify for all the surveys so sometimes it can take a bit of patience to find the ones you qualify for. But it gives you access to a good amount of surveys that are easy to take because the app is user-friendly. A nice feature when it comes to the surveys on CashKarma is that you get bonuses when you have been screened out of surveys a certain number of times. You, for example, get 50 points when you have been screened out 10 times, 100 points when you have been screened out 25 times, 250 points for 50 times, and 500 points for 100 times. It is not a huge bonus and it can still be frustrating to screen out from surveys. But at least nice you get a small bonus for trying, compared to certain other survey sites. The rewards for the surveys are not quite as high for the time spent compared to the top paying survey sites. It can still be worth it if you want access to as many surveys as possible and because it is easy to use on the go. Some of the same surveys can be taken on other sites for a higher reward but it also offers some surveys that you cannot find many other places. A great thing about CashKarma is that it gives you a great start by offering several joining bonuses right away to kickstart your earnings. If you use a referral code when you join, you will, for example, get 300 points for free right away. To get these free points, you can use my code which is: moeller79. You can also join through the link further down in the review and you will then automatically get these free points. In addition to this, you get 50 free points if you verify your email address. On CashKarma you can find an option to watch small video trailers for other apps. There are many videos to watch but for very low rewards. This is ads that last between 15-30 seconds. By watching them, you will earn a small reward. It is easy to do, it does not take long, and you can watch a lot of them. But they really do not give very high rewards. The standard reward is 1 point per video (the equivalent of around $0.001). There are at times videos with higher rewards but, in my opinion, it is really not worth the time to watch these trailers to earn. If you like watching the trailers and getting ideas for new apps to downlaod it can be fine and then it is nice to get a small reward at the same time. But if you think about it, you have to watch around 1000 of these trailers to earn $1 – then it is really not worth it from an earning perspective. Something I like about CashKarma is that it offers quite a few bonuses and badges. The many bonuses and badges make CashKarma more fun. 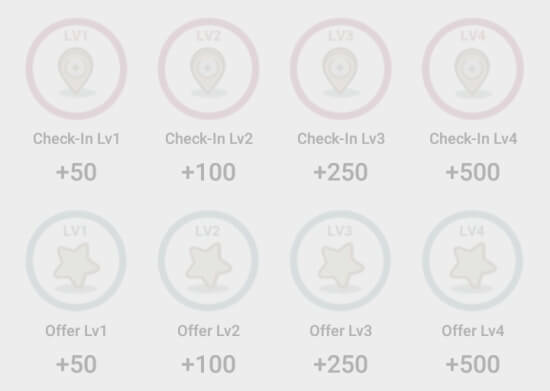 This is, for example, a small bonus and badge when you have checked in a certain number of times, you get a small bonus every day you check in to the app, you get a bonus and a badge when you have watched a certain number of videos, etc. There are quite a lot of these small bonuses and badges. They will definitely not make you rich but it is a nice way to stay motivated and watch your progress and being recognized for being more active. There are several paid offer walls inside CashKarma. 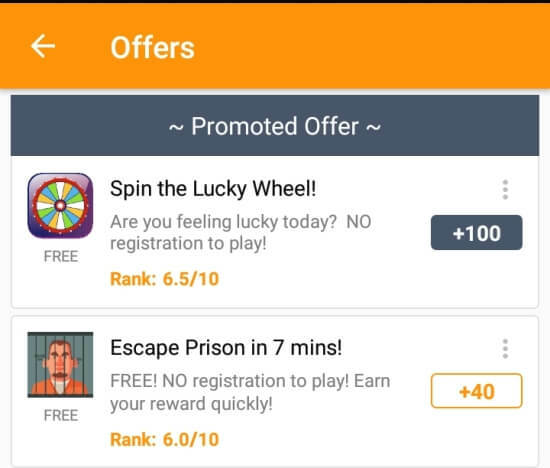 Examples of paid offers inside CashKarma. Some of the offers can be fast and fun. I, for example, took an offer where I had to answer some questions and spin a wheel. It was actually kind of fun and only took 5 minutes. The reward was quite small but it was entertaining. Some of these offers have very good rewards, but some of them have very low rewards. Also, many of them are covered in ads and are meant to get you to give your info so advertisers can contact you. It can still be worth taking some of these as it can be easy money if you find the right offers. You just need to make sure to read the conditions for the offers so you know exactly what you agree to. 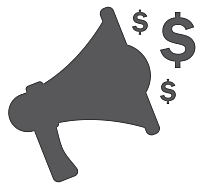 Something that is very important to know before signing up for any survey or GPT opportunity is how you can get paid. You need to know this so you are sure it offers methods and conditions you can accept. Cash Karma, in my opinion, offers some good payout methods. You can get paid in cash through PayPal, get Amazon Gift cards, or choose between many other gift cards. Some of the reward options. Personally, I prefer survey options that pay through PayPal, as it is such a nice and fast way to get your rewards in cash, so nice CashKarma offers this. But the other methods are also great depending on your preferences. It is, however, not as easy to figure out when you can get a payout and how much points are worth as it is on many other sites and apps. The payout threshold depends on the reward you want. The lowest threshold is for Amazon gift cards as you can get one of these for $5. This is equivalent to 6000 points. This is an ok threshold but the conversion rate from points to dollars is a bit confusing and there are, therefore, in my opinion, sites that offer Amazon gift cards as rewards with better conditions. What is confusing about CashKarma is that the conversion rate depends on the reward and when you request a payout. 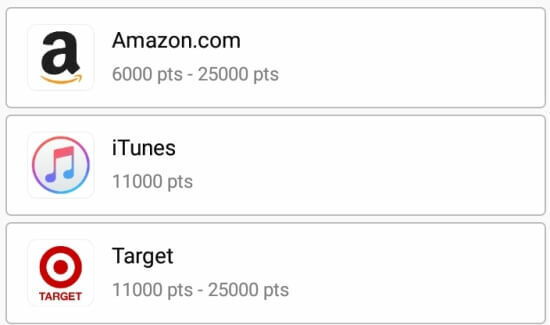 As you can see above, if you get an Amazon gift card, you have to use 6000 points for $5. But if you wait until you can get a $25 gift card, you only have to pay 25,000 points. For PayPal, you can get your money out when you have $10 which will cost you 12,500 points, so PayPal is a more expensive option for the lower rewards. But if you wait until you have 50,000 points, you can get $50 for this. 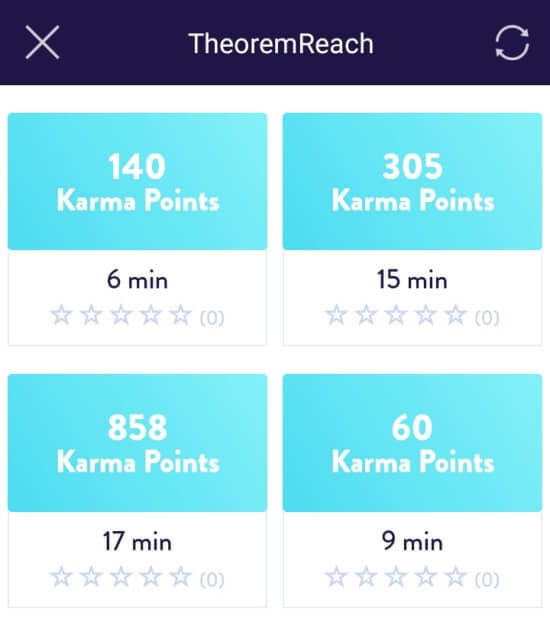 So it is clearly best to wait until you have more points to get a payout on CashKarma as you then get better value for your points. That means it can take a bit of patience to get the best value for your points. One aspect of the rewards on CashKarma I really like and have only seen a few places like, for example, on the site PrizeRebel, is that when you get a payout, you at the same get a bonus. The bonus depends on the size of your reward. When you request a $50 PayPal payout, you get 2500 points as a bonus. This is equivalent of $2.5 you get as a bonus. That is a nice extra bonus to get for cashing out compared to some other sites that charge a small fee for processing the payout. CashKarma offers quite a few ways to earn as you can see. It is easy to use it on the go as it is an app, so it can be a way to earn a bit of extra cash. You should, however, not expect it to make you a full-time income or anything close to this. It can be a way to earn a little extra but it takes some patience, so you should go into it with this expectation. You can join CashKarma no matter where you live and you just have to be at least 13 years old to sign up. As it is an app, you, of course, need to have a phone where you can download the app. It is available through Google Play and in the App Store. A strange thing about CashKarma compared to other sites is that when you first join, you do actually not have to create an account. You can just open the app and start using it. Once you are inside, you can, however, create an account with your email and a password. I would suggest you to do this if you are going to use the app. This makes it possible to also use the app on other devices and you get a bonus for creating an account and verifying your email. It is always good to know if you can get support or not on any GPT site or app you join as you might need help at some point. At CashKarma I had a hard time finding this option and could not find any support option in the app. However, I managed to find a support form on the website. 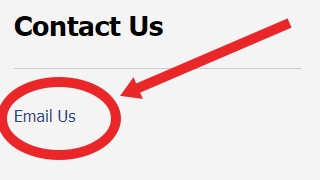 If you go to the FAQ section through the link at the bottom of the CashKarma website, you can see a link in the right sidebar. The support option can be a bit tricky to find. If you click this link, you will get access to a support form, where you can ask questions or get help. A shame it is not made available in the app but hopefully, that will be made available soon. But nice that it is still possible to contact the support through the website. CashKarma offers several ways to earn and offers legit payout methods. So let’s finish this review by summing up the pros and cons so you can get a better overview before deciding to join or not. Overall, I think CashKarma can be a fun and easy way to earn a bit extra cash on the go as it is very easy to access through the app. It has some great payout methods once you have figured out the slightly confusing point system. It can take some patience to earn any real money here and some of the rewards are lower than on similar sites. But overall it is definitely a way to earn a bit extra. I would, however, suggest you to also join more survey and GPT sites in your country as well, as CashKarma alone does not give enough opportunities, in my opinion. But as an extra option and easy access on the phone, it can be a good option. It is very easy to join CashKarma. You just download the app and then you can start earning right away. If you want 300 FREE points right away, just click the button below and you will then automatically get them after joining. If you have any comments, questions, or have any experiences with CashKarma yourself, I would love to hear from you in a comment below. CashKarma is an app that makes it easy to earn a bit extra by taking surveys and doing other small tasks. It does not have as high rewards as some other sites/apps and it can take some patience to make any real money. But with patience it can be a nice way to earn a bit extra, it offers many daily available options, and it has great payout methods.